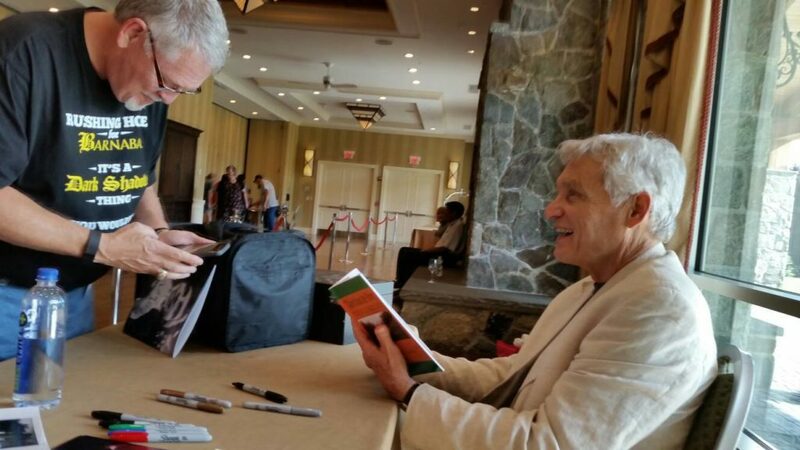 In a time of great sadness and sorrow in our country, it somehow seems now is not the time to reflect back on the wonderful weekend of the Dark Shadows Fest, but, to all of you who were able to attend, thank you for your being there, for your kindness and laughter and support. . . for your gifts. You all have made the last 50 years so very special. . . . You have kept the Dark Shadows legacy alive, not just as a footnote in some forgotten history of television, but as a living testament of the work of all who took part in its creation. You all have taken that creation and kept it alive, well, and vital. I, for one, am indebted to you all.